Elizabeth Oates is no stranger to a dysfunctional family. She may look like the quintessential soccer mom now, but her childhood was full of uncertainty, abandonment, and many very dark days. Without a positive role model, an emotionally stable family member, or a consistent community, she had to forge her way ahead just to survive day to day. It wasn't until she was preparing for a family of her own that she began to learn the lessons that would lead to a more hopeful future for herself, her husband, and her children. Now she shares those lessons with other women struggling to create healthy families despite their own unhealthy family foundations. Through introspective and probing questions, Mending Broken Branches guides the reader to accept her past, understand her present, and find a vision for her future. The interactive design includes space to work through the journaling prompts provided, as well as extra-wide margins for notes of reflection while reading. 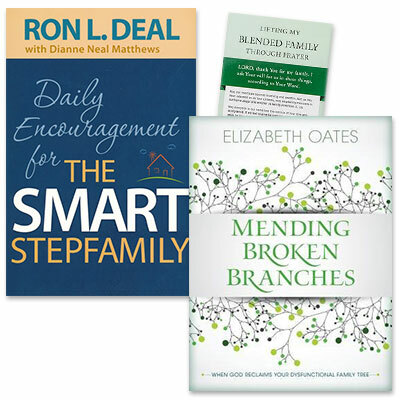 With the gentle voice of a trusted mentor, Elizabeth encourages and equips women to cultivate strong, flourishing, God-honoring lives, and to break the cycle of dysfunction.